TEL AVIV, April 10 (CGTN) -- The Blue and White party, Israeli Prime Minister Benjamin Netanyahu's main challenger in the elections, admitted defeat on Wednesday night but vowed to serve as "fierce opposition" to the right-wing leader. The four main leaders of the centrist party, three of them ex-army chiefs, appeared in a broadcast speech on Israel's three main television channels. Their remarks came after a count of some 99 percent of the votes indicated that the Likud and Blue and White won some 35 seats each. However, the right-wing bloc in the parliament secured a majority big enough to make Netanyahu highly likely to form the next coalition government. "We haven't won this round," said Yair Lapid, Blue and White's No. 2 figure and Israel's former finance minister. "But our achievement cannot be belittled: we are the biggest party in Israel," he said of the party, which was formed only two months before the election. He added that the party will go to the opposition benches to struggle against Netanyahu's policies and to strengthen its power before the next round of elections. "The days in which the opposition only tried to crawl its way into the coalition are over," he added. "We will make the Knesset (parliament) a battlefield." He promised to show Israelis that there can be an alternative to Netanyahu's 10-year-long consecutive ruling. "We will show Israelis how their lives could look like with leadership that cares about them," he said, hinting at the long list of corruption cases in which Netanyahu and his close associate have been entangled. Benny Gantz, the main leader of the party and a former chief of the Israeli forces, thanked the party's "more than a million" voters. 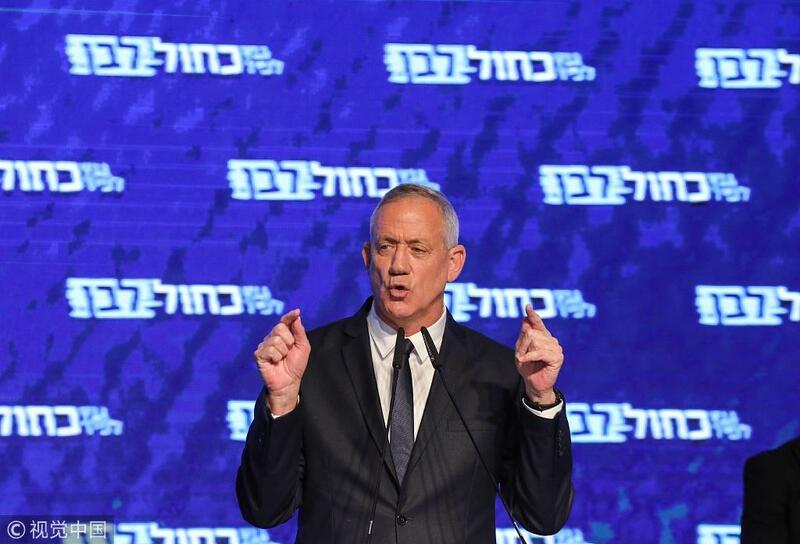 "We have founded a true alternative to the rule of Netanyahu," Gantz said.